ZioChristians, open your eyes! This is not about Islam. 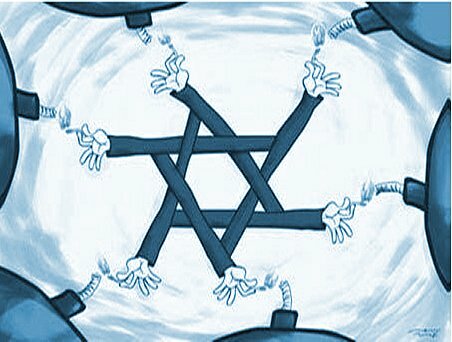 It is about anything not Jewish! ED: See video below. This is a common sentiment never spoken before non Jews. The incident is the first “price tag” attack to take place at the monastery. Roughly three months ago, racist graffiti was found at the nearby Jewish-Arab town of Neve Shalom. Then, the tires of 14 cars parked along the town’s main road were slashed, and slogans such as “death to Arabs,” “revenge,” and “Ulpana outpost,” were found sprayed on the vehicles. In February, similar anti-Christian graffiti was found sprayed on the walls of the Greek church at a monastery in Jerusalem’s Valley of the Cross, and a Baptist Church in central Jerusalem. 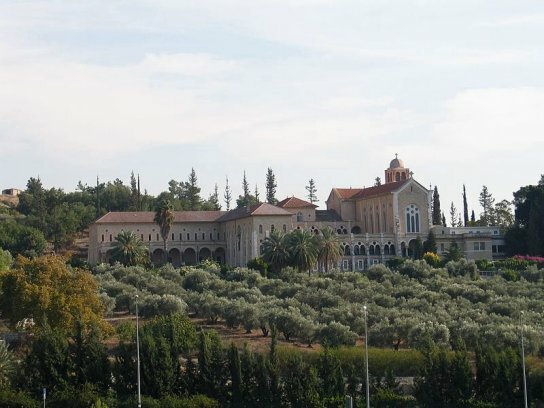 Vandals set fire to the entrance door of the Latrun Monastery early Tuesday and spray-painted slogans against the Christian religion on its walls, including names of West Bank outposts and “Jesus is a monkey”. The Jerusalem District Police launched an investigation into the incident. The monastery’s wooden door caught fire. The abbot, Father Louie, told Ynet: “At around 3:30 am, a monk sleeping in one of the guest rooms heard a noise, went outside and saw the door burning. He entered our rooms and began shouting and waking us up. The monastery’s guard, Elias, called the police. “I didn’t see anything,” he said. “At around 3:30 am I drove by and didn’t see anything suspicious. Ten minutes later I saw the door on fire and the graffiti. The monks appeared very offended by the incident. Acting Jerusalem District Police Commander Meni Yitzhaki visited the monastery on Tuesday morning. The police have been preparing for “price tag” actions by extreme right-wing activists, which are usually directed at Palestinians, following the evacuation of the West Bank outpost of Migron in recent days. The targeting of a Christian symbol has the potential of making waves in the Western world, which is widely covering the situation in Jerusalem and its surroundings. This isn’t the first time a Christian site has been the target of such an operation. 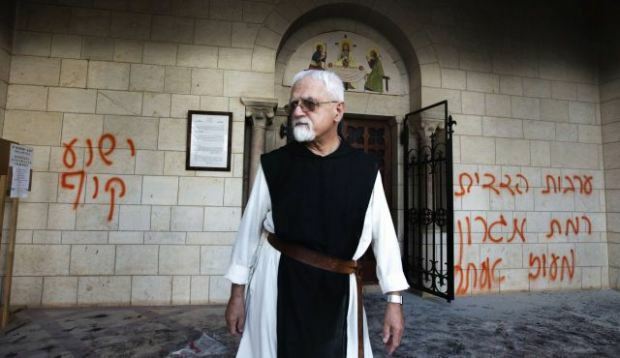 In February, vandals daubed “Death to Christianity” on a Jerusalem church and slashed the tires of three vehicles parked nearby.